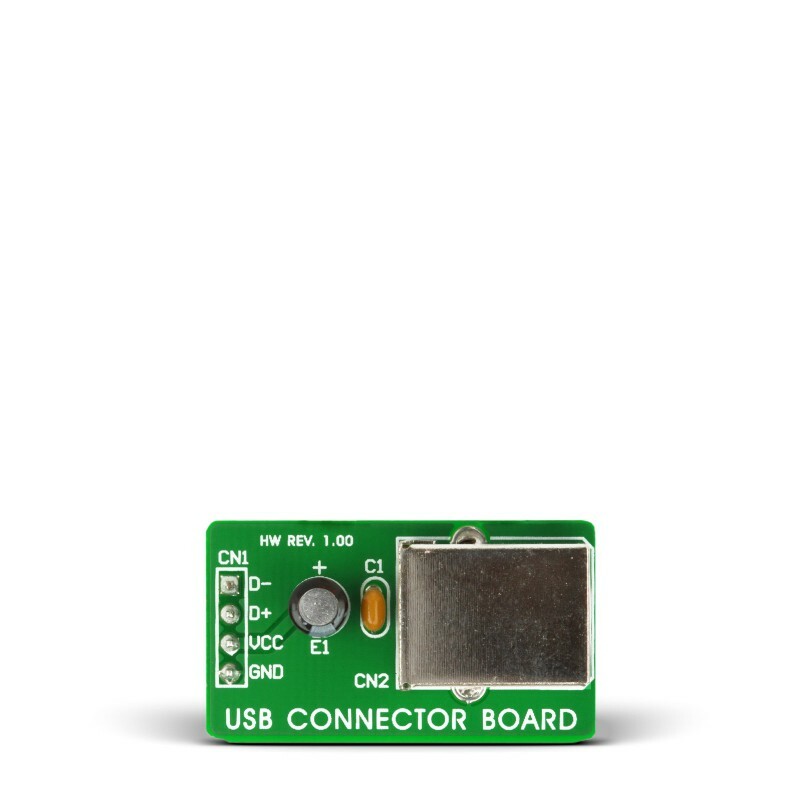 USB Connector Board features a USB connector that allows easy connection between a prototype device and USB devices. 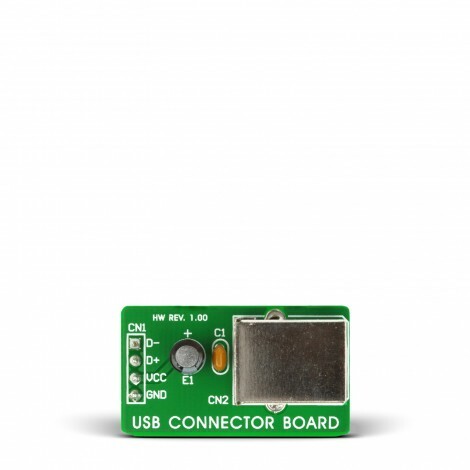 USB connector board is a great way to add USB connectivity to your prototype, development board or final device. It features USB type-B female connector in metal shield and 4 connection pads compatible with standard breadboards with 100mil point distance. Board is clearly marked which helps facilitate connections.